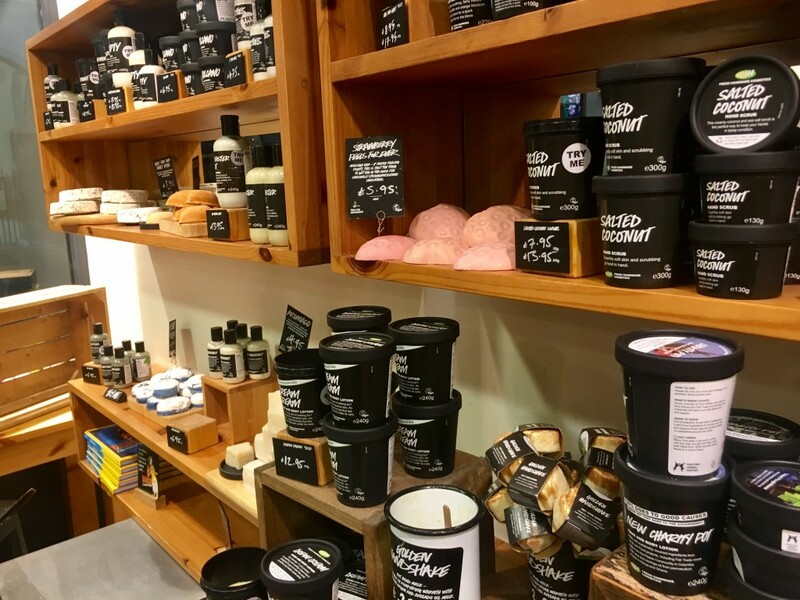 When I heard that Lush in Exeter was holding another blogger’s event, I was SO excited. 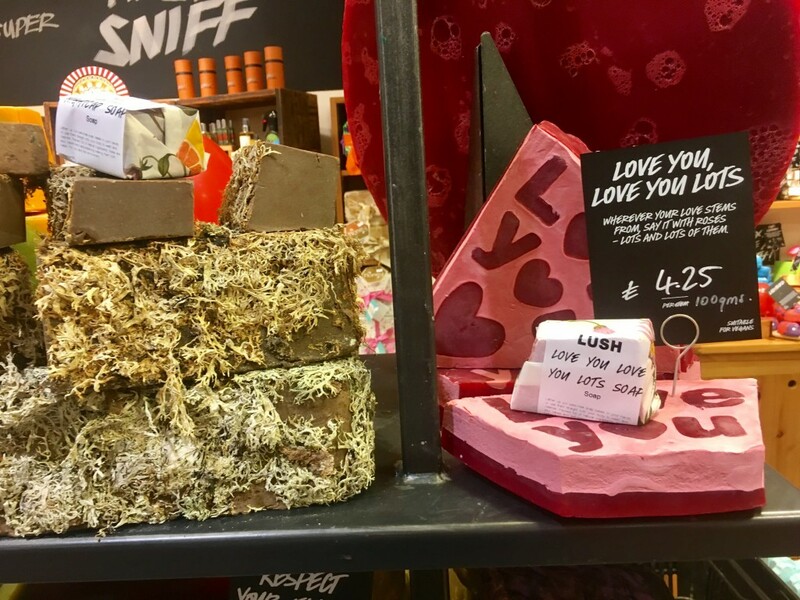 Just before Christmas, I attended my first Lush event and absolutely loved it, so I was really pleased to be invited along to this year’s Lush Valentine’s Day event. The first that I noticed when I arrived was that there were a lot more bloggers in attendance than last time around – at the Christmas event there was about 13 bloggers, this time there were over 20 of us! 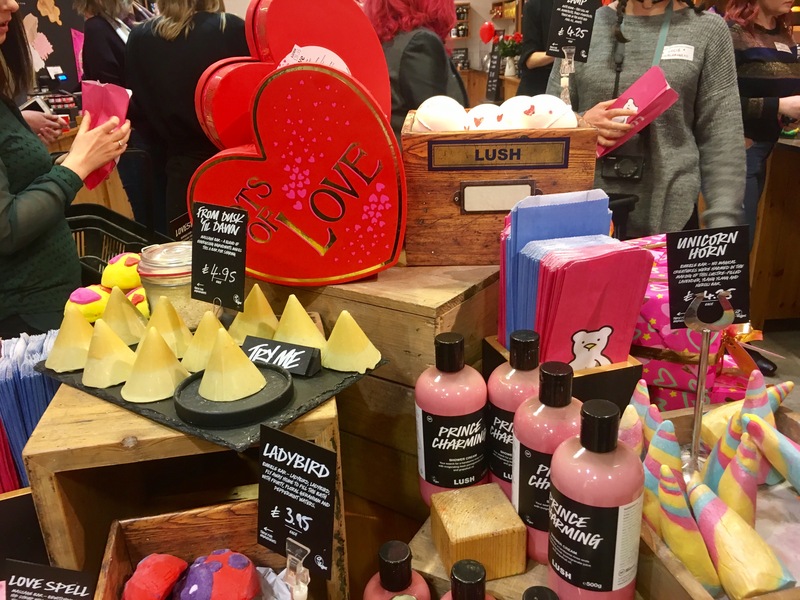 Although the Lush store in Exeter is fairly small, there was still plenty of room, which was great – I’ve been to events before where it’s overcrowded, and it’s never fun, regardless of how amazing the event is. 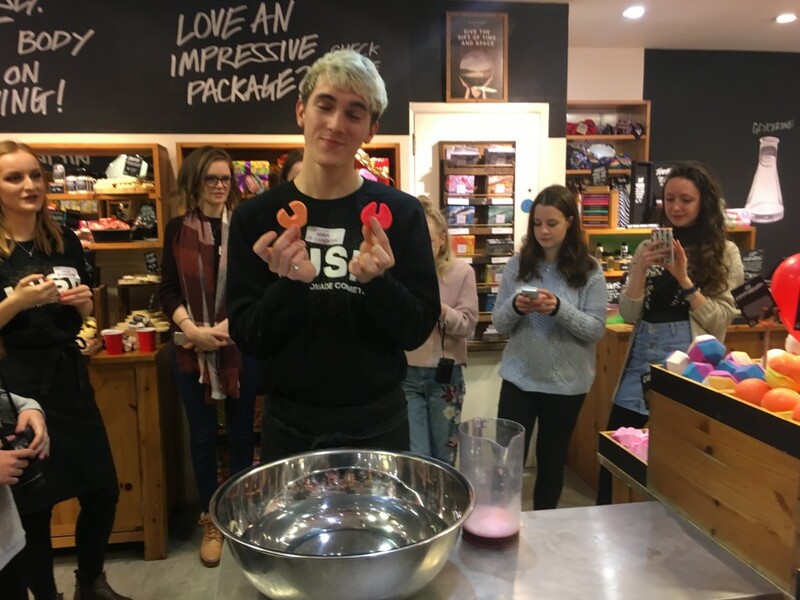 When we arrived at the Lush store in Exeter we were each given a name badge with our Instagram names on, just like the last time around. As I said in my post about the Lush Christmas Blogger Event, I love this little touch, as it’s nice to know everyone’s names. Once we’d been handed out of name badges and placed our coats and bags in the store room – FYI it smells as AMAZING as you would think in there, we were then told to tuck into a selection of drinks and nibbles. 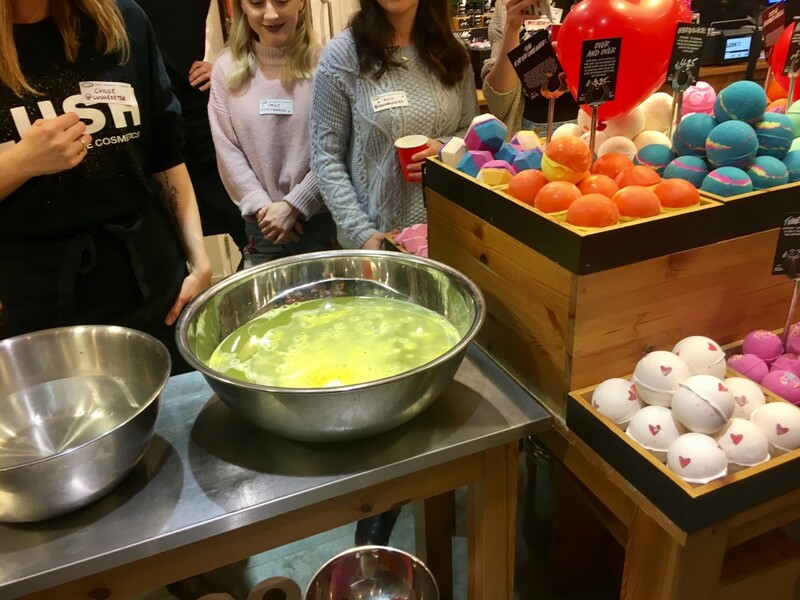 Next was the demonstrations of the Lush Valentine’s Day range products, starting with a selection of bath bombs. 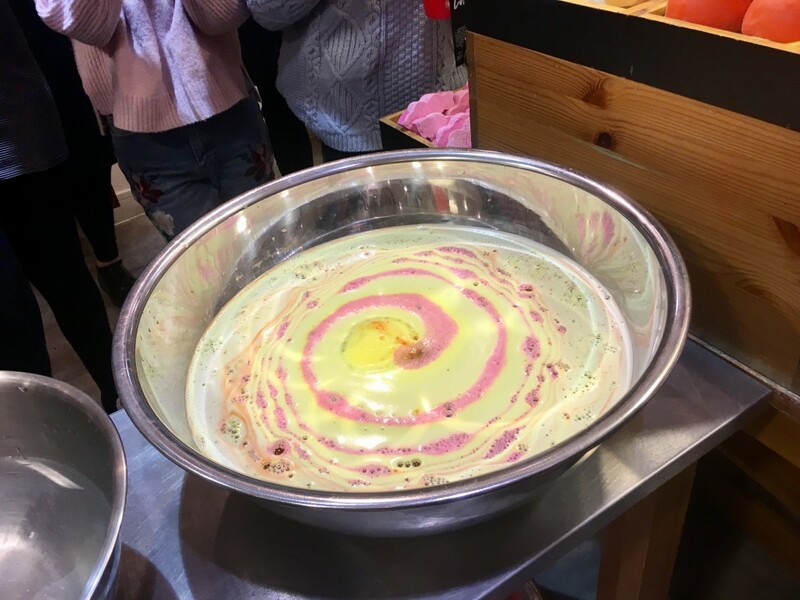 The first bath bomb that we were shown was Over and Over, an orange and yellow bath bomb with a pink centre that creates a beautiful swirl of colour as it fizzes through the water. I loved the refreshing smell of this one – lime and fennel go surprisingly well with cocoa butter. We were then shown Rose Bombshell, a pretty pink bath bomb with roses carved into it. I love the smell of rose oil so this bath bomb is one of my Valentine’s Day favourites – I particularly love the fact that it has real rose petals inside it that disperse into the bath as the bomb melts. Another bath bomb we were shown was Lover Lamp, a white bath bomb with tiny red hearts dotted throughout it. 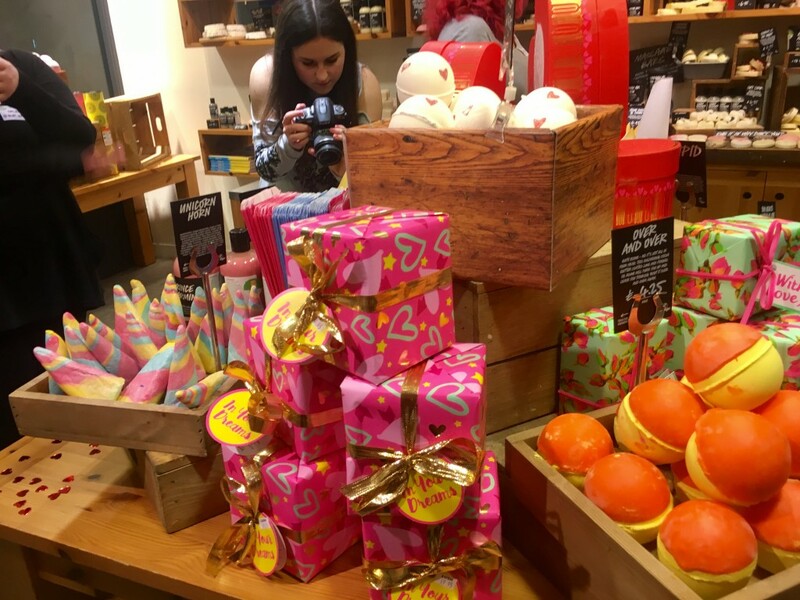 A combination of vanilla, cocoa butter and sweet orange oil, this is a bath bomb after my own heart – I am a major lover of anything orange scented, which is why I have a little obsession with the Lush Bubbly Shower Gel that I got at the Christmas Lush event last year. 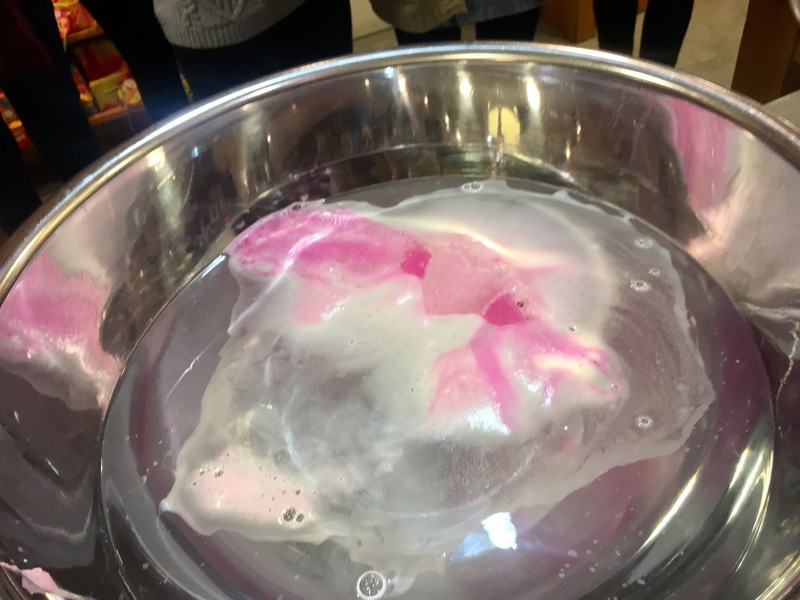 The last bath bomb that we were shown was Cupid, a pale pink heart-shaped bath bomb with a darker pink cupid’s bow going through it. A blend of raspberry, lime and rose, this is one of my favourite bath bombs from the Valentine’s Day range. When placed into one of Lush’s famous silver bowels, this little heart-shaped bath bomb began to fizz and lather before turning into streams of pink and white foam. Next it was bubble bar time! I am a real fan of the Lush bubble bars, I love how you can get a few baths out of just one bar and still get lots of lovely bubbles. 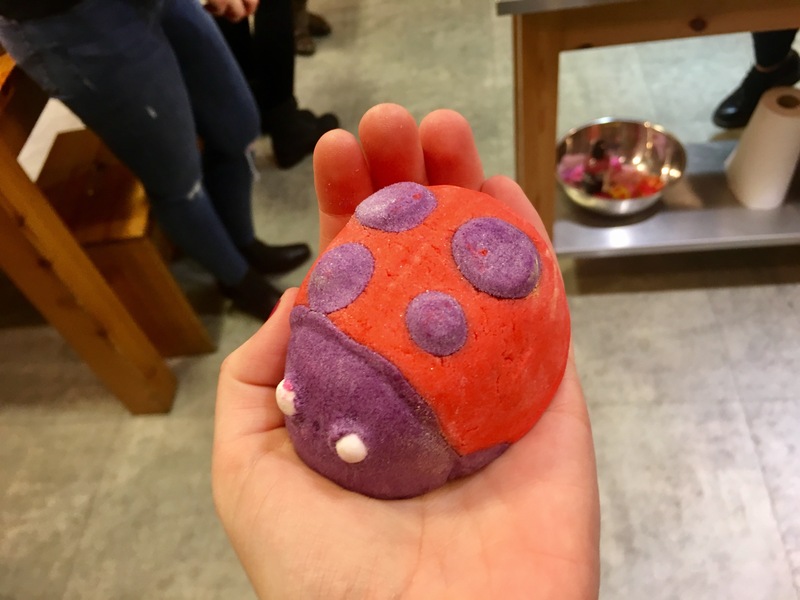 The first bubble bar we were shown was Ladybird – a cute bug shaped bubble bar. (Personally, I think it should be renamed ‘Love Bug’, much more lovey and suited to Valentine’s Day!) Although packed full of floral scents such as geranium oil and menthol peppermint oil, the Ladybird bubble bar instantly reminded me of candy sticks when I smelt it – took me right back to my childhood! 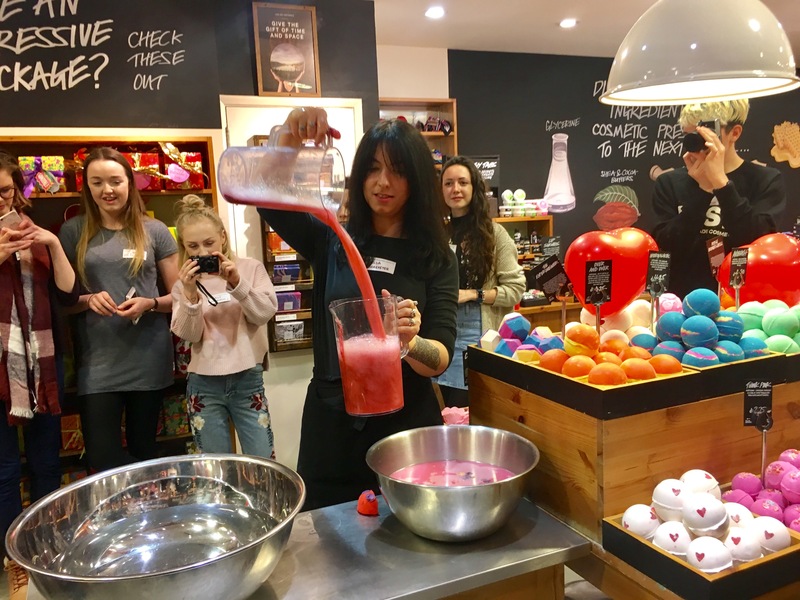 Elsa, one of the Lush team members running the event, broke off a small amount of the bubble bar and gave us a quick demonstration of how many bubble such a small amount of the product could make. Then, once we’d finished admiring Elsa’s impressive pouring skills, Adam showed us Two Hearts Beating As One, the product we’d all been waiting to see. (This isn’t actually a bubble bar, it’s a bath melt.) I saw this in the window on my way into the store and couldn’t wait to see what it was like – it’s just so pretty. The great thing about this melt is that you can separate it into two and get two baths out of it, or if you’re feeling greedy you can use it all at once. What I loved about Two Hearts Beating As One was the fact that it simply melts into the water, leaving an oily residue on top of the water. The next bubble bar we were shown was Lovestruck – a yellow smiley face emoji bubble bar. I loved the smell of this lemon-scented bubble bar, it was so wonderfully refreshing. A small amount was crumbled into a jug, and then Hannah from Not Another Blog had a go at turning it into bubbles. The last bubble bar we were shown was the Unicorn Horn, the one I had been excitedly waiting for. You see, a few weeks ago I went a little unicorn mad and since then have become obsessed with all things unicorn related so I couldn’t wait to see what this bubble bar was like. I’m pleased to say that when the multicoloured bar was crumbled up and poured between two jugs, I wasn’t disappointed – the water turned a beautiful pink colour and was wonderfully bubbly. The last range that we were shown was the soap and shower range, one of my personal favourites. The first product that we were shown from this range was the Kiss Me Quick business wash card. This super thin wash card is made to fit in your purse and be used for when you’re traveling, made mainly from apple pulp and a splash of lemon and lime, this card is a great item to carry in your purse as once it’s run under water it turns into a handy travel soap or shampoo. Next, we were shown Love You, Love You Lots, a giant pastel pink heart-shaped soap with smaller red hearts dotted across it. Packed full of rose oil, rose syrup and rose petals, this soap smells INCREDIBLE and leaves you with wonderfully soft skin. The next shower product we were shown was Prince Charming shower cream, a neon pink shower cream packed full of vanilla, floral scents and soothing cocoa butter. Although it was pink in the bottle, I didn’t expect it to stay as pink when applied to the skin but it did, giving it a temporary neon pink hue. Last but not least, we were shown Love Spell, a pastel pink-coloured massage bar engraved with hearts. Made from cocoa butter, rosehip oil, aloe vera, and lemon, this soothing bar leaves skin feeling wonderfully hydrated and super soft and smooth. The last part of the event was, of course, shopping time. However, before we could start shopping we were all told to remember the name we picked out of the bag at the start of the event of another blogger attending the event. We were then told that we could pick them a product from the Valentine’s Day range as a Valentine’s gift, hence why we were told to get to know them a little bit so that we could pick them the perfect thing. As I had my blogger friend Hannah as my person, I picked her the Love Spell massage bar that I knew she was mad about. I was lucky enough to be given the Unicorn Bubble Bar, which I was super excited about as after seeing how it worked, I knew that I wanted to try it out. Once we’d given each other our ‘gifts’, we then started out shopping. 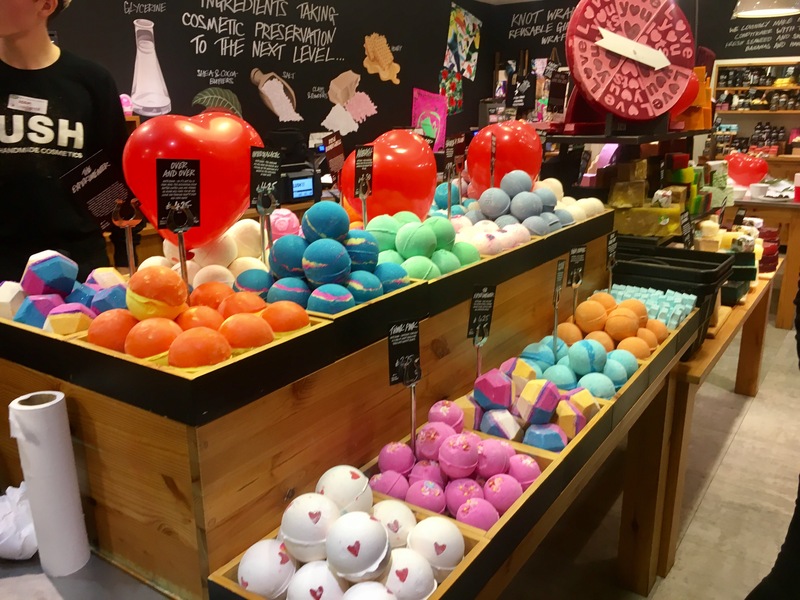 I treated myself to the Ladybird bubble bar and the Cupid bath bomb – I wanted to buy everything but I knew I needed to have a little self-control. 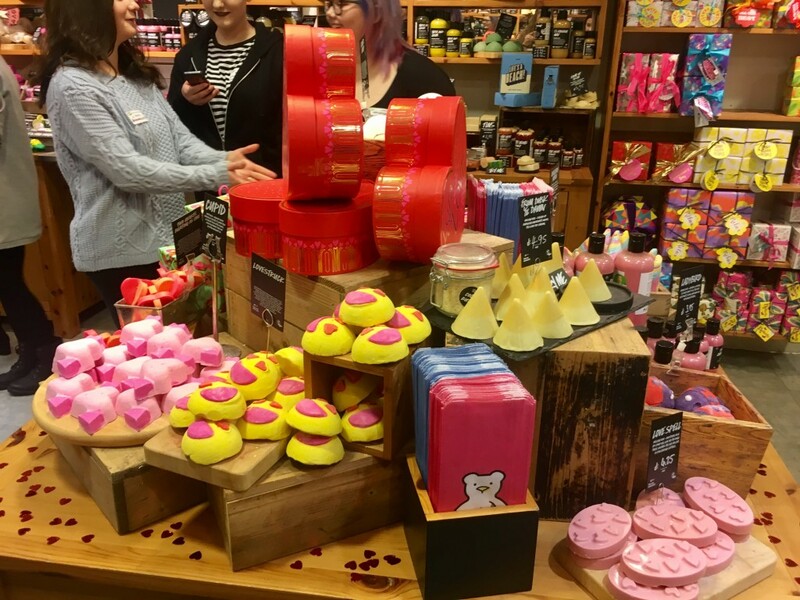 At the till, once I’d paid for my bits, I was excited to be given a goodie bag – when it comes to blogger events, Lush are one of the best brands in terms of goodie bags, and us bloggers love them for it.